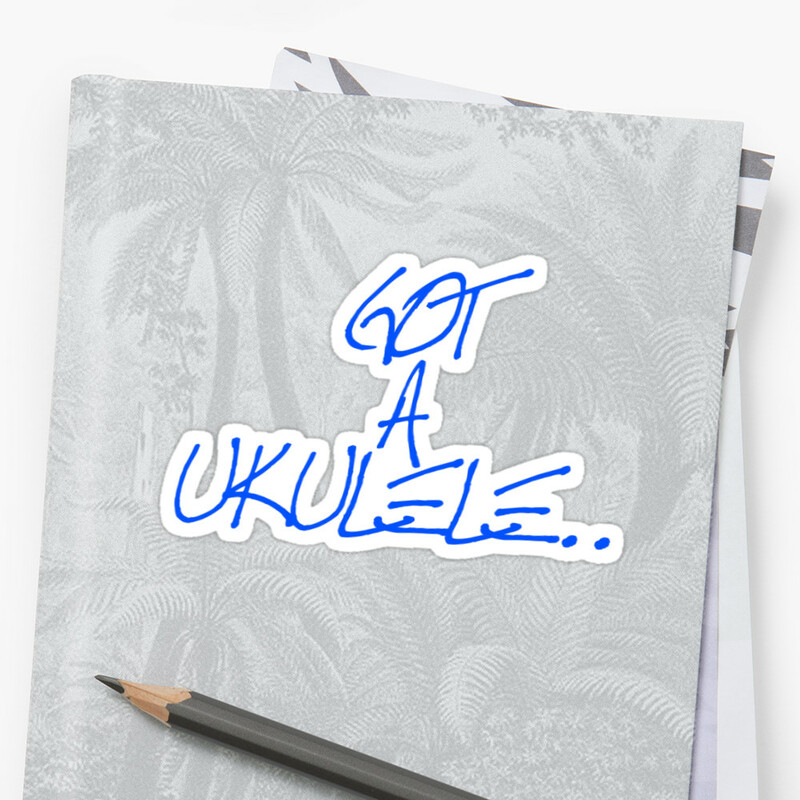 Something a little different this week with a musical instrument brand I really should feature more on Got A Ukulele. It's the E3-GC Grand Concert from Kamoa Ukuleles. Kamoa are a brand based in Hawaii who make a range of affordable but good quality ukuleles in the far east (China in this case) before shipping them back to HI for final inspection before going to dealers. 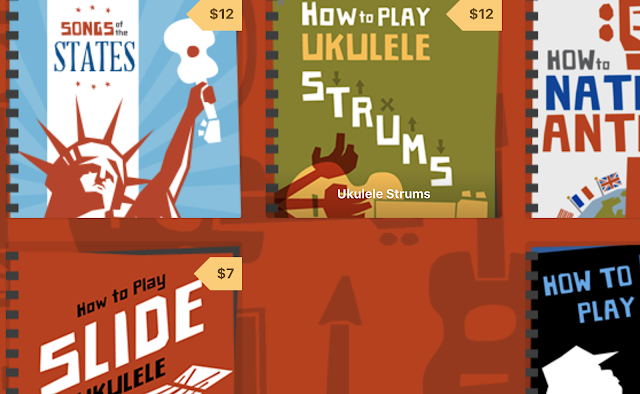 I've played several Kamoa ukes over the years and always liked them, but it surprises me that I haven't featured a true ukulele model of theirs on this site. The earlier review was actually a Kamoa Bass, so I'm pleased to have this one on loan from Southern Ukulele Store. This is a concert scale ukulele billed as a 'Grand Concert'. By that I take it they mean the body shape has a fuller size, with a less pronounced waist - more like a mini dreadnought guitar for want of a better description. It's also quite deep in depth so this should bode well for a resonant fuller tone. Saying that, the scale length is a touch larger than many concerts too at 16 inches. It's made from all solid tone woods with a two piece spruce top and two piece sides and a single piece back made from solid maple. That choice of tone woods screams bright, bright, BRIGHT on the sound to me. The body is finished in satin that covers a thin staining of colour. Who am I kidding by merely using the word 'colour', this ukulele is RED. Very, VERY red indeed! I suspect that may be a love or hate thing, but I am actually quite liking it myself. It's certainly different to the majority out there and nicely done too with the wood grain showing through. I think at first glance it will make people think it's a cheap laminate ukulele which would be a shame for an all solid wood instrument made as well as this one. Like I say though, I like it. We also have some added decoration with top and back cream edge binding with the top strip complimented by some black and white purfling. The sound hole is decorated with concentric black and white rings and I think all of this together with the bold colour comes together to create a rather striking ukulele. It's also clearly a well made body with no issues I can see and the finish is very good all over. This one has a slotted rosewood bridge plate and a bone compensated nut. The wood on the bridge is a bit scruffy in this example with some rough patches, but not so much that it's a major issue. Just annoying. Inside is extremely tidy with notched linings and nicely shaped braces. The beauty of woods like maple for a reviewer is that it makes it really easy to see inside and look for issues as it's so pale. It really is VERY tidy. No complaints in here at all. Kamoa don't specify the neck wood, but this is also red, so you probably wouldn't know what it actually in any case! It will be a hard wood like Nato I suspect, though it could well be maple like the back and sides. Through the finish I can see there is a joint at the heel and one towards the top of the neck. Topping this is a rosewood fingerboard which, like the bridge, is scruffy in places and looks like it needs conditioning or rubbing down with some wire wool. It had 18 frets in total with 14 to the top of the body and these are all dressed extremely tidily and well. A very comfortable shallow profile neck with a nut width of about 35mm. Whilst i'd like that nut a touch wider, the flat profile means that it doesn't feel that cramped to me. We have attractive shaped pearloid inlays at the 5th, 7th, 10th and 12th and a solitary dot on the side at 7th. Better than nothing and I actually quite like the minimalist touch. My Rob Collins reclaimed mahogany soprano ukulele has a solitary dot and I rather like it for that! Beyond the neck and bone nut we have crown shaped headstock, attractively faced with a darker wood, possibly rosewood, which looks just great against the bright red. It's inlaid with the diamond emblem from the Kamoa brand logo but not the name which I think is a classy touch and looks great too. I'll forgive the lazy three pointed crown as I like everything else about the headstock! Tuning wise we have sealed chrome geared pegs with the Kamoa brand name embossed on the covers. They are good enough tuners and have small pearly buttons attached. It comes strung with Aquila strings with a wound low G... (grumble grumble grumble....) And for that you are looking at about £260 in the UK and a US RRP of $369 though in dealers you will find it much lower than that. In the hands it feels 'substantial', but that is on account of the body shape and depth, rather than weight. 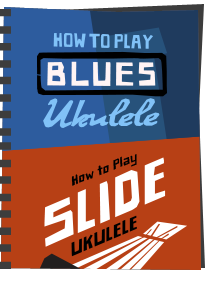 Whilst the whole ukulele itself is not heavy, it is however very slightly (and I mean very) neck heavy, but it's so slight you really don't really feel it and I have seen MUCH worse. The setup on this one is also excellent with a really low action. It's a chunky and tactile feeling instrument that I rather like. To play.... well, I was right about those tone woods. This has a bright sharp punch that really cuts through particularly on the higher strings. Yet it's no one trick pony either as the overall sound has a great range, probably helped to some extent by the low G, but I think also because there is a nice character to the tone also. In fact it's not all about the low G at all, because that C string is really clear in the overall mix too. In fact all the strings are clear and thats the sign of a good ukulele. Great clarity and range right across the board. Yet overall still very bright and jangly. Sustain and volume are absolutely terrific and in fact I didn't feel like I was playing a concert at all, more like a small tenor. That's no bad thing either I don't think. I love how you can feel it vibrating in the hands and into your chest on stronger strums. I've really enjoyed playing this one and it's another on the reviews bench that I just keep picking up for 'one more go'. It's very playable and enjoyable in pretty much all departments. So it's very well made on the whole, sounds and plays great and, at £260, is a pretty good price for all solid woods that deliver tone like that. Yes, the red colour may put some people off but it actually really grew on me and left me finding very little to dislike about it to be honest. 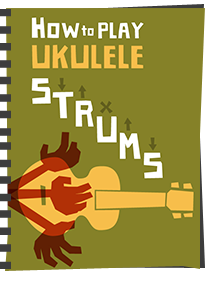 I wish I had reviewed more Kamoa ukuleles because this one comes recommended. Whilst it doesn't affect the score, I don't want a wound string. Great review, Baz. Thank you for the information...I agree with you on the subject of low G. Haven't been able to get on with it at all, so I'm thankful I only had one of my instruments restrung that way. It's not so much low G I dont like - i have some strung that way but it's the use of steel wound strings. They just stand out in the mix. When i play low G I use fluorocarbon strings. I've played a few of these and I really like them. I refer to it as "a poor man's Ohta-san" because the scale length and body dimensions are nearly, if not exactly, to that of a Kamaka bell shaped HB-2D ukulele. One down side that i have seen is that over time, the finish rubs off and even holes become worn into the soundboard. This may be because the soundboard material is rather soft, or because the owners love them so much, that they play the heck out them. If you don't want it to resemble Willie's Trigger in a few years, I would recommend fashioning a "pick guard" out of clear screen protector material to protect the finish. I've seen these in green and yellow also, if the red is not to your liking. 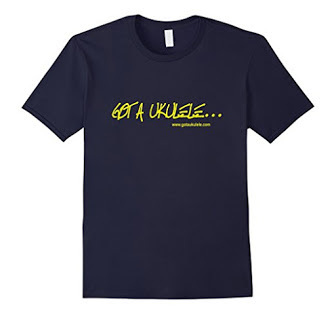 Really a great uke for the price though. Nice to see a Kamoa review. I dropped by their shop a few years back on vacation. I really like the vintage looking soprano of theirs, but this one goes the opposite direction and the body gets "inflated" instead of "deflated". I actually saw a woman at the airport bringing home a grand concert, but I had incorrectly assumed it was a concert with a tenor neck. Now I know better. Interesting choice of woods. I thought it was funny that you commented on the "lazy 3 pointed crown" since their diamond logo looks lifted from Martin too, so naturally goes well with the Martin style headstock. I've wondered how Martin hasn't stopped them from using that logo - maybe they tried. I guess they didn't didn't register/renew the trademark? I'm not a fan of wound strings either. It's definitely an effort to look past the strings sometimes. Bought a wound low-G set so I could play some songs that required it, but it just sounded and felt wrong. I've basically just avoided songs that didn't transfer well to high G, but if when I get the urge to try again I will make the effort to find a fluoro low G.
Hi Baz . As always an impartial and balanced informed review . I own 3 Kamoa’s having been first introduced to them by a music teacher in San Francisco Bay Area . I have been to their store in Kauai met the owner and his mum who are just committed to bringing affordable yet always high quality instruments. I also have one of the bright reds and can honestly say it has not lost any of the tone , sustain or color :)after 3 years . I find very little need for tuning (and always check afore playing ) . So thanks again for the time taken to review - your posting is always something I look forward to each time and find fair ,accurate and independent. 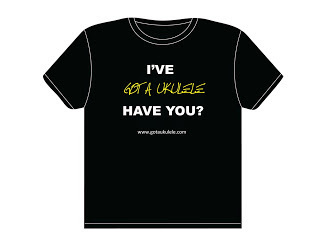 Hi there Baz great review as always, I recently bought a Cort concert ukelele all solid Australian Blackwood and mat I add a solid one piece neck. I like it a lot but the sound for me is a little on the dull side. Do you think with time and playing the sound will improve? If it hadnt been for the great quality of the build i would probably have returned it but the pros do so outweigh the cons in this case. Hi.i recently bought a cort ukulele and it's fantastic! I think tasmanian blackwood is perfect tone wood for a uke..my cort sounded great out of the box..I'm going to get a cort soprano next..ps the neck is so comfortable and of such quality if you closed your eyes you would think your holding a Martin ? It's really hard to say - solid woods do change over time the more you play them. The consensus is they get 'better' but i've never understood how you prove that without it being massively subjective. One thing I would try though is some different string materials. 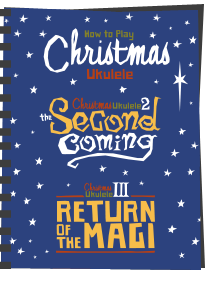 The biggest changes I have found with ukuleles is by doing that first and foremost.